Canberra-based company Kord Defence has secured a US$2.25 million contract to develop innovative products for the United States Marine Corps. The contract is valued over 18 months and will see up to four additional staff employed, including two engineers under the US Foreign Comparative Testing (FCT) program. Kord Defence will develop a Rifle Accessory Control Unit (RACU) for soldiers to mount on the front of their rifle. Minister for Defence Industry Christopher Pyne attended a signing ceremony in the US to celebrate the success of Kord Defence. "Kord Defence is an innovative company with technology that fundamentally improves the capacity of the soldier in the battlefield," Minister Pyne said. 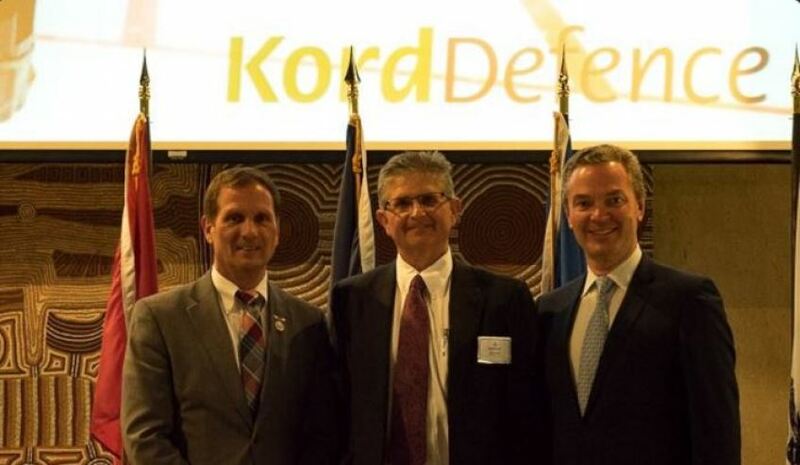 The minister, who is in North America for the G'Day USA Australian-American dialogue, said the partnership between Kord and US Marine Corps signifies Australia's ability and importance to the defence industry on a global stage. "This contract reflects the innovative technologies emerging from Australian defence industry being embedded into partner countries," he said. "Australian capability is cutting-edge and globally competitive. We are seeing increased attention on what Australia has to offer."